One of the finest hotels in the capital, prestigious Baglioni Hotel offers you a superb location overlooking Kensington Gardens. Hyde Park is also opposite, the perfect place to enjoy a morning stroll or soak up the beginning of the spring sun. London is unequalled anywhere in the world for its cosmopolitan atmosphere. 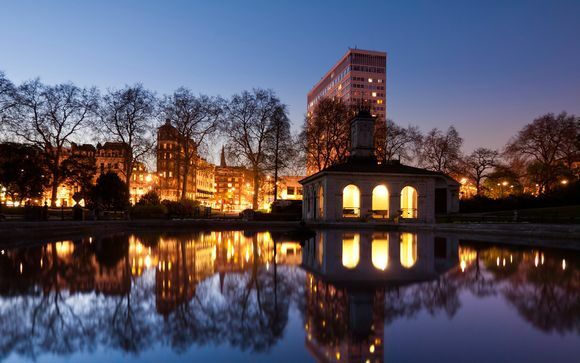 From the glitz and glamour of Knightsbridge to the buzzing social atmosphere of the West End, no matter what you are looking for it can be found in this enchanting city. With plenty to see and do one visit is never enough! 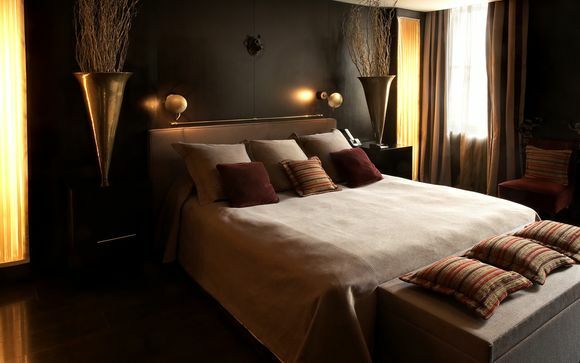 At the Baglioni Hotel you are in an advantageous position to explore London and its many acclaimed sights. The luxury 5 star hotel is situated a short distance from historic and cultural places of interest. The shops and watering holes that animate the city's nightlife; the Royal Albert Hall, Harrods and Knightsbridge are all nearby. It is opposite Hyde Park with an enchanting view of Kensington Gardens and Palace. The prestigious Baglioni Hotel is housed within a beautiful Georgian era building featuring stylish Italian furnishings throughout. Large gold vases, stone floors and an elegant fountain in the lobby add to the hotel's affluent design. The hotel’s own Maserati is on hand to whisk guests around London. Consistently one of the top-rated hotels in London, the service gets rave reviews – knowledgeable and charming in equal measure. You may choose from a Deluxe Room or a Junior Courtyard Suite. Deluxe Room - Superbly elegant, with their captivating and modern design, Deluxe Rooms offer 38 sqm of space and have an extremely relaxing atmosphere. They feature special amenities such as an Illy espresso machine, free wi-fi and a TV with over 60 channels. Junior Courtyard Suite -These luxurious suites overlook a quiet and sheltered internal courtyard . Some of these 15 suites have a private terrace with tables and chairs, the ideal place to relax in the open air. The bathrooms have black marble floors, mirrored walls and two handmade copper sinks imported from Morocco. This offer is based on a room only stay. You may upgrade to a bed and breakfast stay at the next stage of booking for an additional fee. Facing Kensington Gardens, on the ground floor of the hotel, the Brunello Restaurant is the first a versatile area featuring ambiances with luxurious details such as comfortable grey and gold velvet armchairs, Murano glass candelabras and an imposing fireplace, as well as the designer touch of the bar which dominates the room. The Brunello Restaurant offers a reworking of Mediterranean cuisine, in which the chef's creativity is clearly evident and features a constant search for flavour. Many ingredients are delivered fresh from Italy, conserving their original perfumes and flavours. The wine list has around 500 labels including a precious vertical collection of Sassiciaia wines. The Baglioni Spa offers a tranquil and intimate urban escape with a full range of exceptional massage and body care therapies. The luxury treatments, range from rejuvenating and anti-ageing facials to hot stone massages, detoxifying scrubs and nourishing wraps. 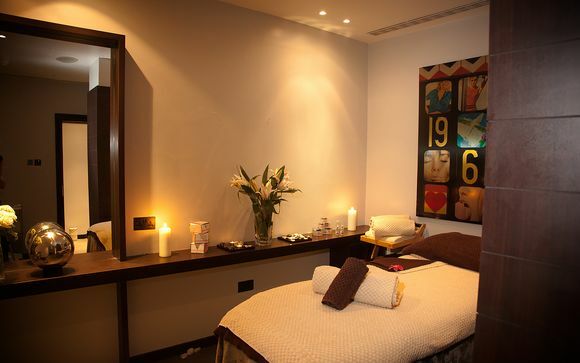 The spa features four serene treatment rooms including a double suite and a manicure and pedicure suite. Changing rooms for men and women feature state of the art aromatic steam rooms. The Baglioni Spa is equipped with Technogym cardiovascular and resistance equipment as well as a full set of free weights. Personal training is available by appointment. The fitness studio is available to hotel guests and spa guests and is open daily. From London Heathrow airport, take the Heathrow Express train to Paddington railway station. From Gatwick airport, take the Gatwick Express to Victoria station. From Stansted airport, take the Stansted Express to Liverpool Street station. Underground station: High Street Kensington. From London Heathrow airport, take the M4 towards the centre of London, approximately 20 km away. Cross Hammersmith and pass the Novotel on your left, take the left lane and after approximately 2 km turn onto Warwick Road, where you will see the Tesco supermarket on the left. At the third traffic lights, turn right onto Kensington High Street and continue for approximately 3 km. The Baglioni Hotel London is on your right approximately 350 metres after the High Street Kensington underground station. The hotel entrance is at Hyde Park Gate, opposite the park and Kensington Palace. From Gatwick airport take the M23 North until you reach the M25. Travel in a clockwise direction on the M25 towards Heathrow and the M4.